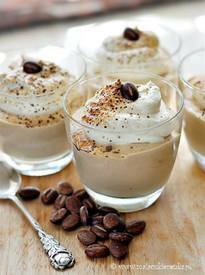 Top 10 homemade cappuccino recipes! Happy National Cappuccino Day! There is no better start of a day than with a cup of hot, soul-warming coffee, especially now when temperatures are really low. But, making the same old drink during the cold days can become a little boring and now it’s a perfect timing to make a change in your old coffee habit. Cappuccino is always a good option because this Italian drink is easy to make, because it’s traditionally prepared with espresso, hot milk, and steamed-milk foam. Here is a list of Top 10 Homemade Cappuccino Recipes which will help you to stay out from your coffee routine. Try them, we promise that you won’t regret it!